Editor’s Note: Thanks to a long-awaited return from the great Damien Rice, we thought it timely to re-post our ten favorite Irish acts. 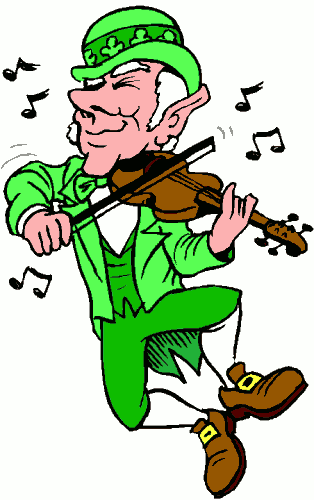 Being a quarter Irish and from a family that treats St. Patty’s day like Easter, I thought it only appropriate that I would write and advocate for the Celts in the music. So in honor of St. Patrick’s Day, a time of year for Lucky Charms, excessive whiskey drinking, and green ketchup, we offer you up the ten greatest Irish musicians of all time. Following the season premiere of Saturday Night Live featuring host Tina Fey and musical guests Arcade Fire, NBC surprisingly aired a straight-up trippy half-hour concert special for Arcade Fire called “Here Comes the Night Time”, named after one of the songs off their much-anticipated upcoming album, Reflektor. Beside playing their disco lead single “Reflektor” and debuting another song “Afterlife” on SNL, the Canadian indie rockers debuted three new songs on the special as well as a slew of high profile cameos and strange costumes, making for a very strange but very bold half-hour of television for NBC. The Dirty Three are not your traditional power trio. 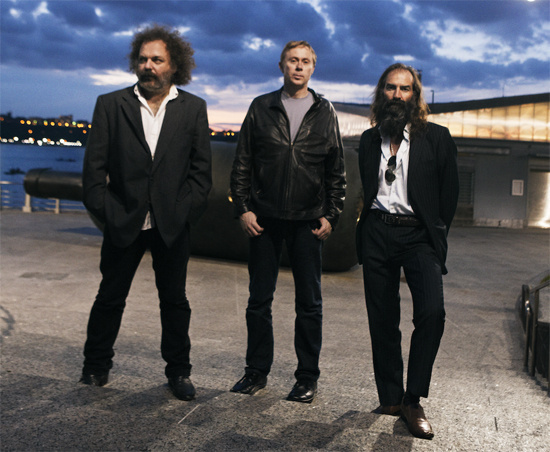 The Melbourne, Australia trio consisting of Warren Ellis (violin), Mick Turner (guitar), and Jim White (drums) have made distinct instrumental post-rock that contains elements of jazz, classical, and indie rock. Two/Thirds of the Dirty Three are from Nick Cave’s band, the Bad Seeds, and much of the same spirit you get with Nick Cave: manic, primal, and deeply sorrowful music. While the band has been around almost 20 years, I was just introduced to the band a week earlier by a friend with the band’s music quickly convincing me to take on the concert at Lincoln Hall this past Wednesday. 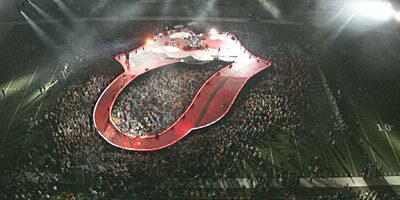 What I experienced was a band and show that is truly one-of-a-kind.